Harrold honorably served our country in the US Air Force Special Operations throughout Europe and Southeast Asia. He then worked in the corporate world for few years before moving to Arizona in 1976. 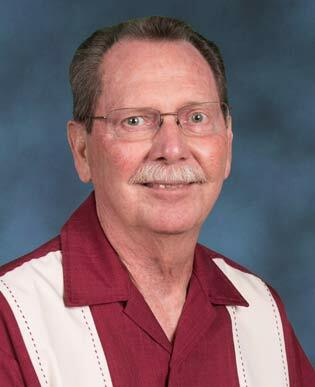 He is a retired 26 year veteran of the Phoenix Fire Department and the department historian for 20 of those years. In 1986, he authored the book, “Up From The Ashes, the real story of the Phoenix Fire Department”. Harrold also was the idea man behind the implementation of such programs as ‘Urban Survival”, ‘Just a Few Seconds’ and a founding member of ‘Fire Pal’. He studied business administration/management at Phoenix College, University of Maryland, University of Phoenix, and taught night classes at Rio Salado College for 11 years. Harrold now owns and operates ‘Cave Creek Customs’, a custom car shop. In his spare time, he loves to travel the states and internationally to enjoy other cultures and their foods with a nice glass of wine. Harrold presently lives in the foothills of Cave Creek, Arizona with his wife of nearly 40 years, their miniature Schnauzer and a desert tortoise.